← 5 miles down & Amazon Fail! 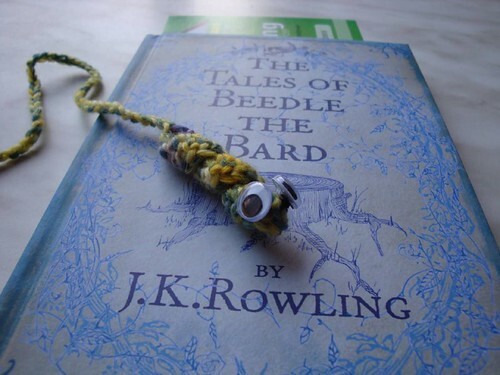 Started up a Harry Potter RAL group on Ravelry today. We are reading through Harry Potter & the Half Blood Prince before the movie comes out in July. I’m really looking forward to it, though, of course, I’ve read the book a couple times as well as listened to it on CD 2 or 3 times. But it is still great fun to discuss a particular chapter with others – you just never know when someone picks up on a clue that you missed! The yarn I’ve been waiting on for my next big secret project arrived yesterday! Woo HOO! Let me tell you, this stuff is *gorgeous*!! 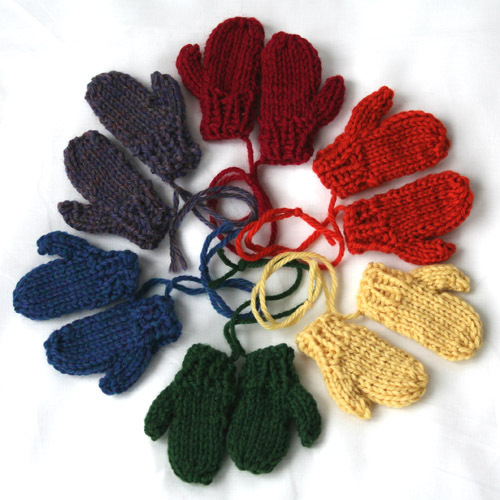 I have the basic plan down in my head – next up, winding the yarn and knitting up a swatch. In light of the new read-along group, here are some results from today’s search. I actually did two searches today to find a good selection. You’ll see the second search here. 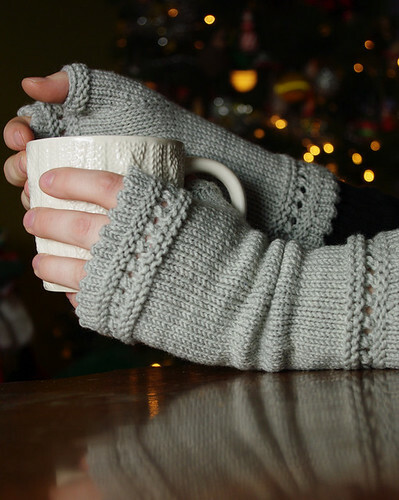 Enjoy – and don’t forget, each picture will take you right to the pattern page! 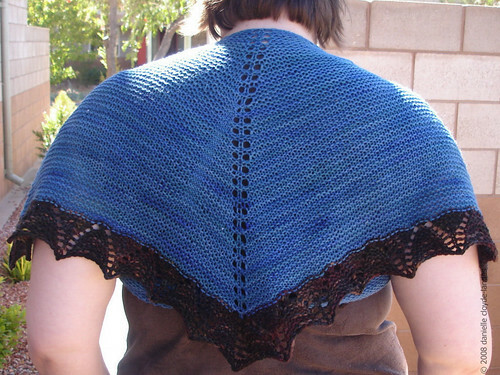 * This is a really cute shawl & would be a nice for some TV knitting or for a beginning knitter, I think. Very pretty! Cables are always so nice looking. * SO cute!! 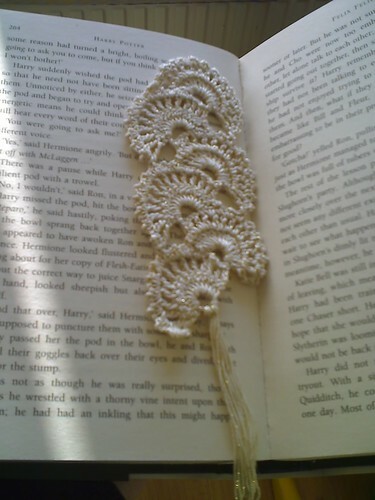 These would make awesome bookmarks. * No pics of finished projects, but wow! 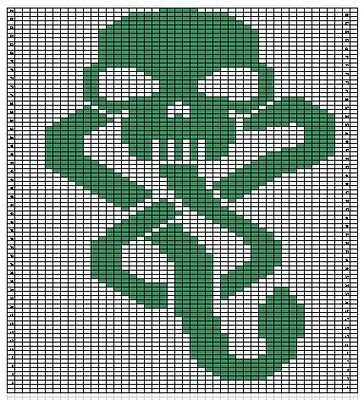 A Dark Mark chart! * This guy is just fantastic! How can you not love him?! Ok – this designer has a whole bunch of really terrific patterns – do check her out! * Great idea! I love this! 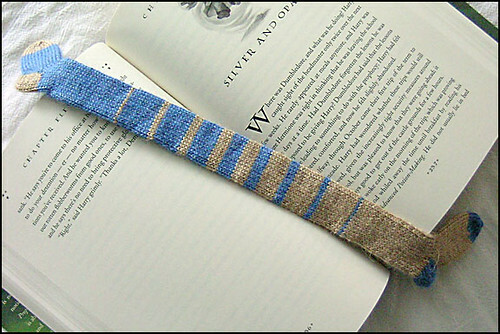 * House Scarf bookmarks! Awesome! 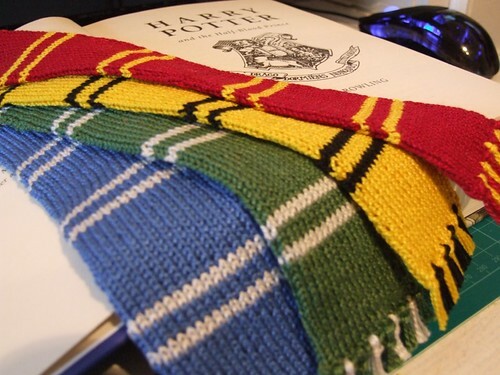 * Ooooh, Dobby Style SockMark! LOVE it! 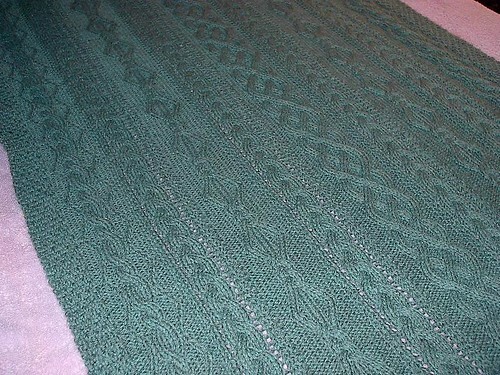 * Giggle - yeah, it took me a LONG time to find a project that included a shot of HBP! 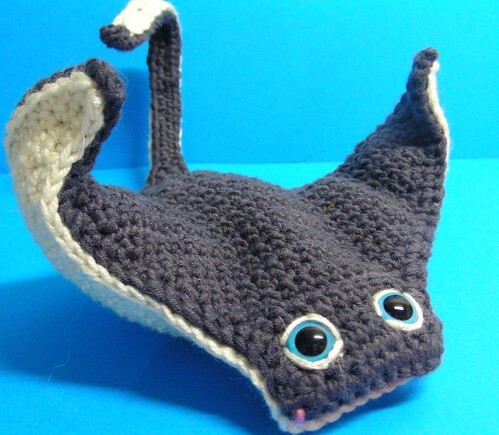 And I even passed up my own project picture because I've made this pattern, it's AWESOME! 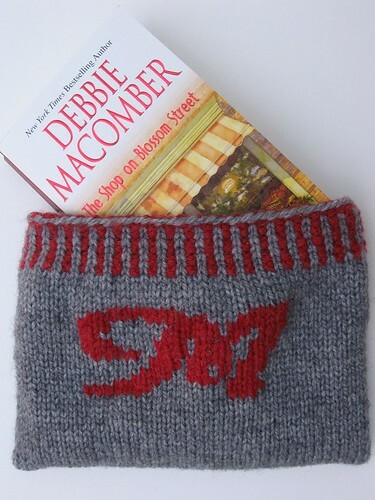 This entry was posted in Running and tagged Half Blood Prince, Harry Potter, Knitting, Running, Today's Ravelry Search. Bookmark the permalink.